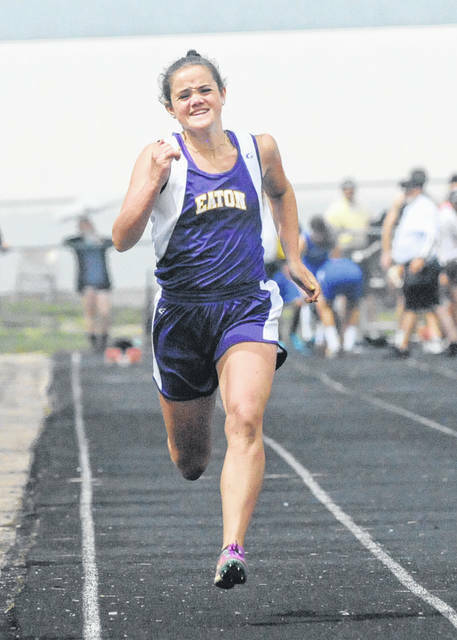 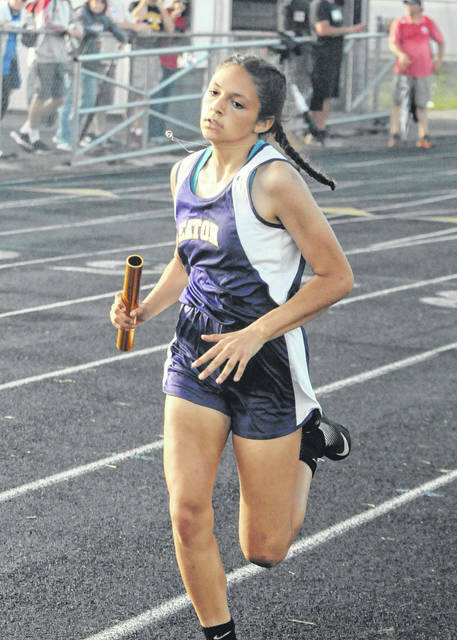 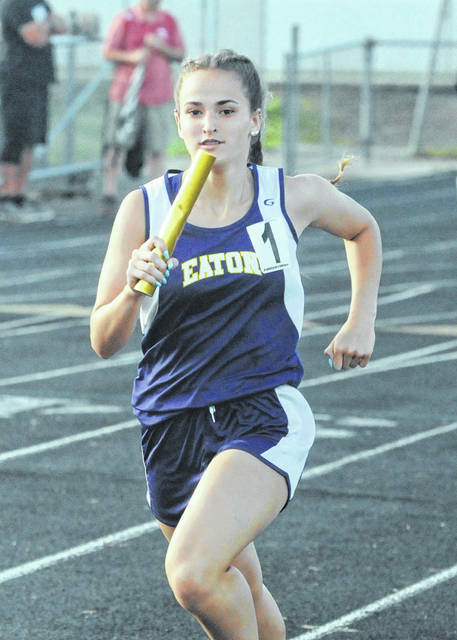 Eaton’s Makenzi Cooper crosses the finish line to help the Eagles win the 4x200-meter relay at the Graham Division II District meet on Saturday, May 19. 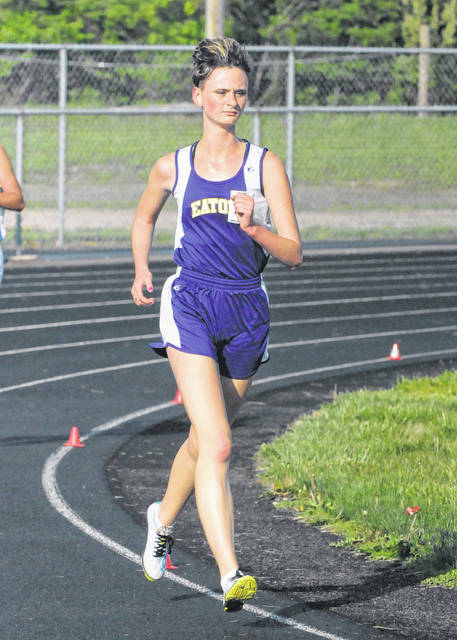 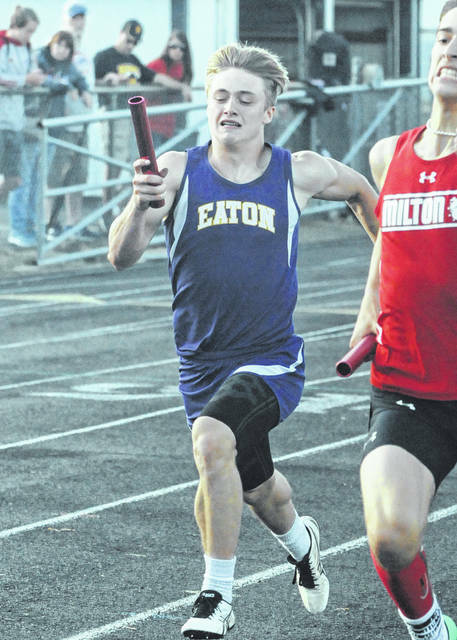 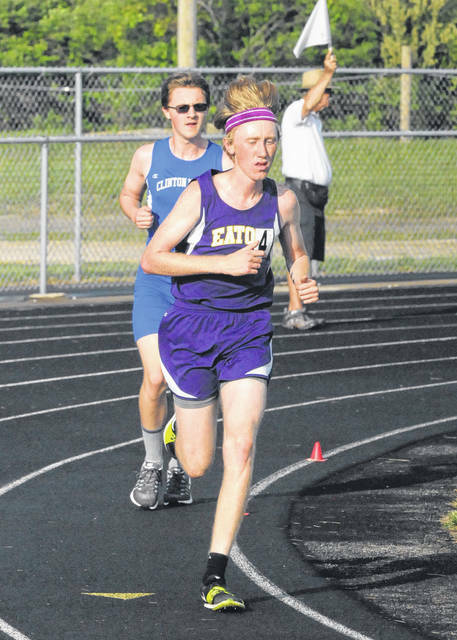 ST. PARIS — Eaton’s boys and girls track teams each finished 8th in at the Graham Division II district meet Saturday, May 19. 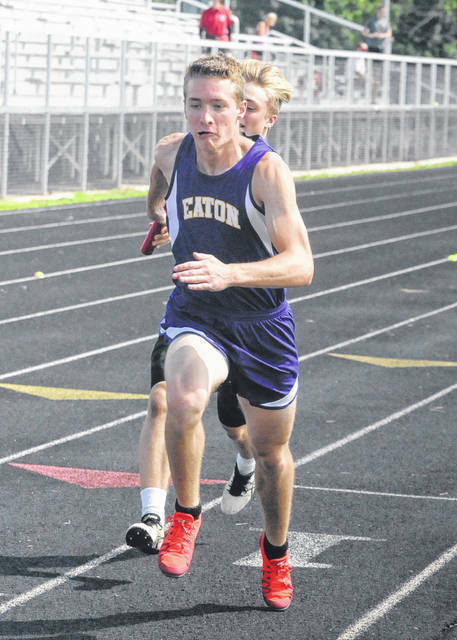 Eaton coach Randy McKinney said the coaching staff was very excited with the overall effort and placement of their athletes at the district championship meet. 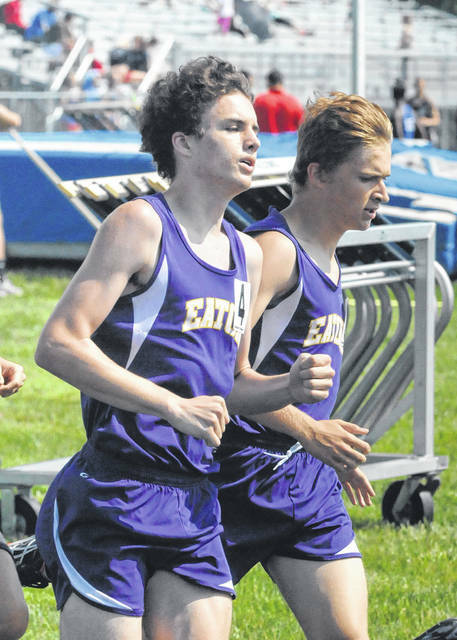 The boys finished up 8th overall in a field of 16 team while the girls also finished up 8th in a field of 18 teams. 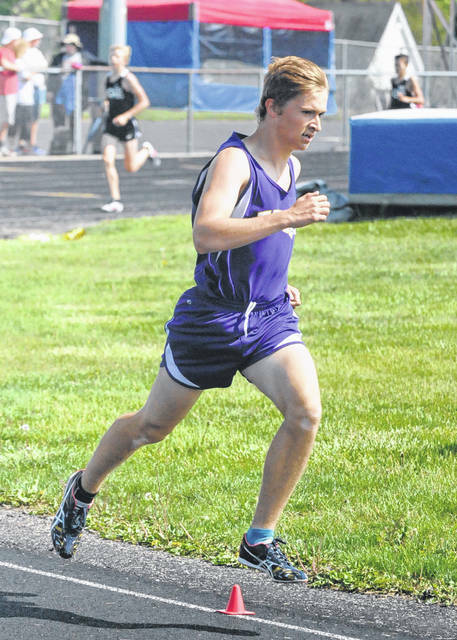 Preble Shawnee’s boys finished 12th at the Piqua Division II meet with 13 points. 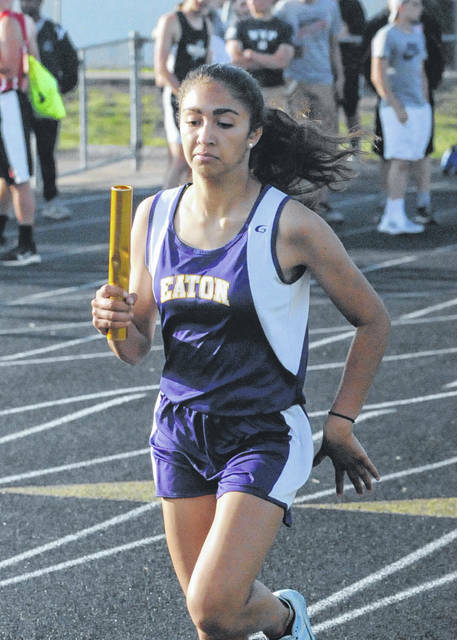 The girls 4×100 relay and the district champion 4×200 relay qualified through to the regional meet, while Tyler Pittman individually qualified in the long jump. 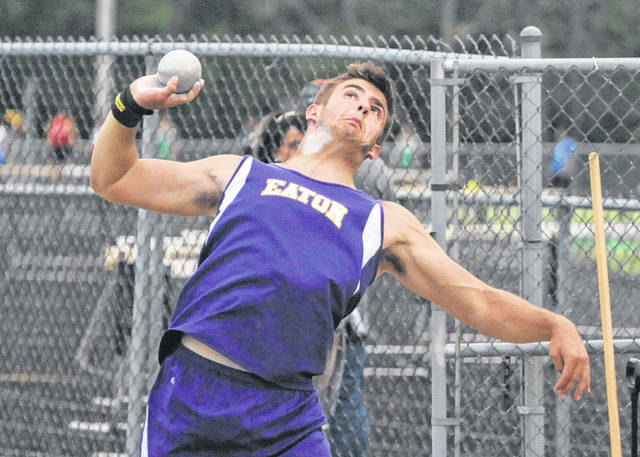 The men’s team qualified Chase Smith in the discus and Alex Newport in the 1,600-meter run. 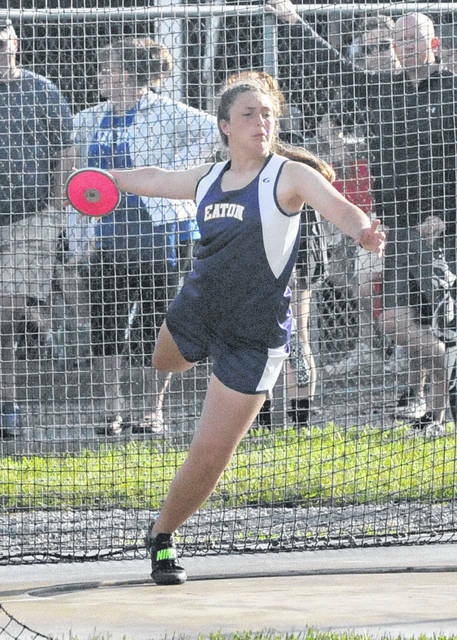 Smith started out on Thursday with a 3rd place finish in the discus with a personal best throw of 157 feet, 8 inches. 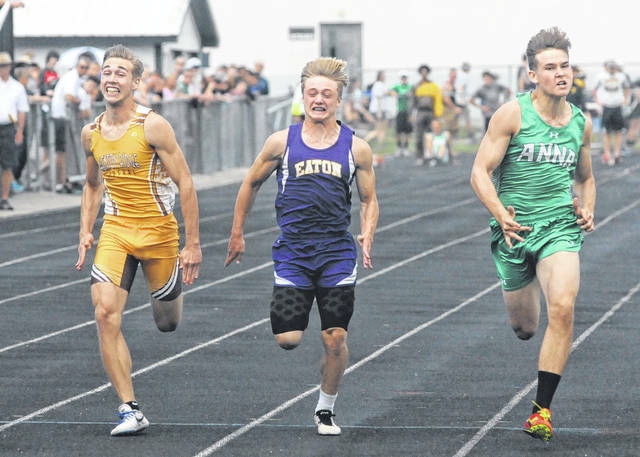 “He’s worked hard over the last few years coming up short last year, but did an excellent job qualifying on to the regional meet this year,” McKinney said. 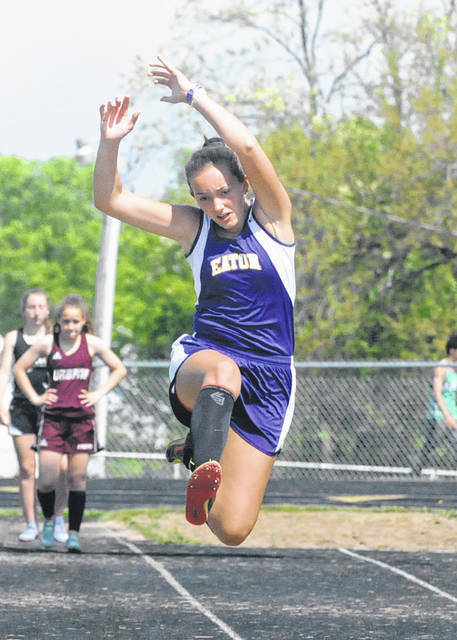 Junior Tyler Pittman jumped 14-5 in the long jump Saturday which placed her 4th overall also qualifying her to the regional championships. 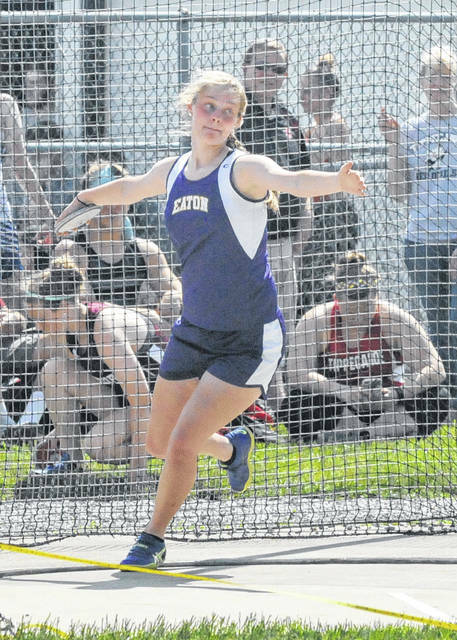 “Tyler’s been very inconsistent through the middle of the season in the long jump so it was great to see her get it all together and jump a personal best jump to qualify on to the Regional meet,” McKinney said. 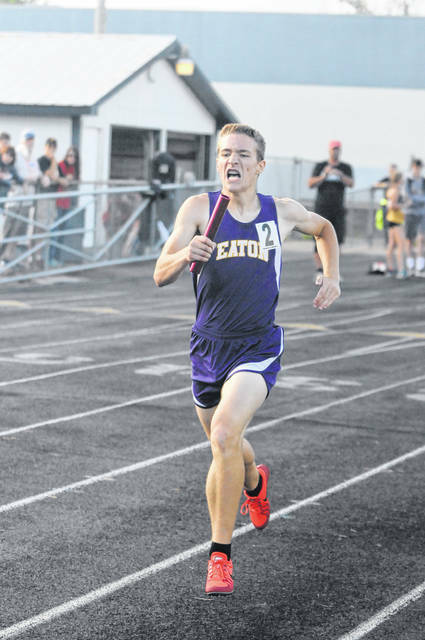 Alex Newport ran a 4:44.47 in the men’s 1600 meter run which placed him 3rd overall qualifying him on to the regional this week. 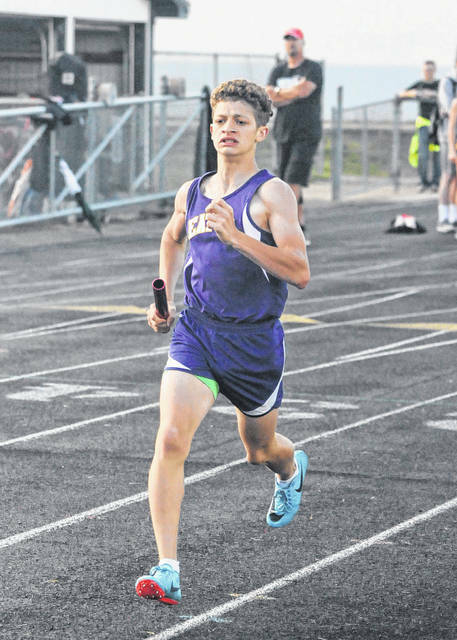 “Alex ran a very smart race against a very talented field of 1600 meter runners by placing himself in a position during the race that allowed him to move up a place or two over each of the first three laps of the race. 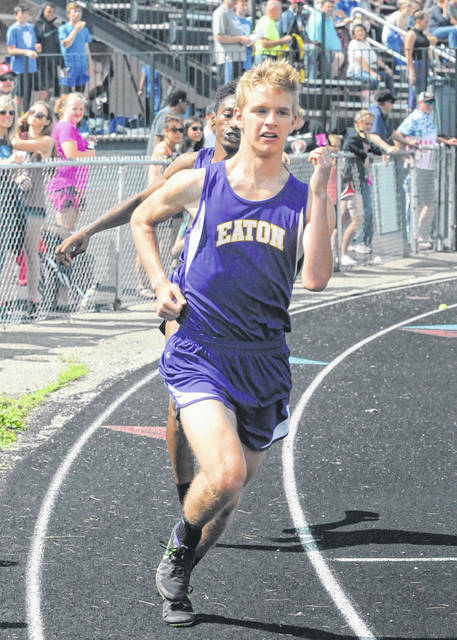 Then with ¾ of a lap to go he made a strong move into 3rd place cruising across the line with a strong finish,” McKinney said. 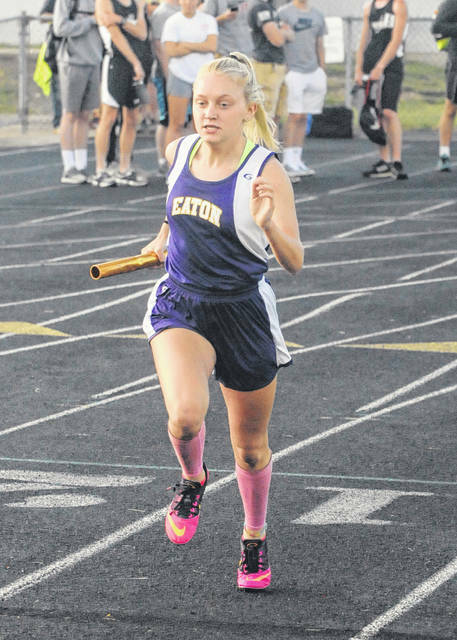 The girls 4×100 and 4×200 relays consisting of Tyler Pittman, Kendall Combs, Kylee Kidwell and Makenzie Cooper had a big day. 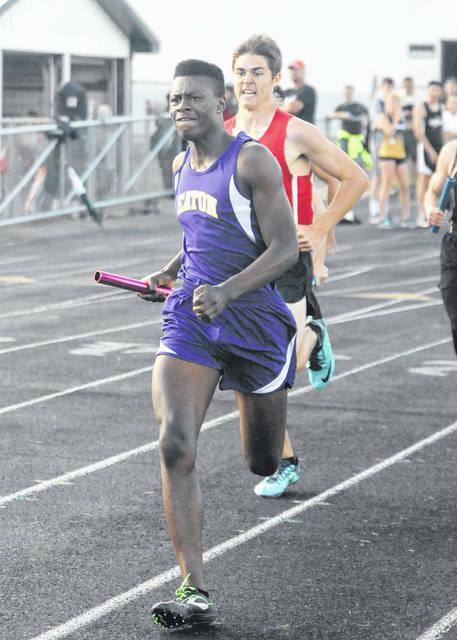 The 4×100 relay placed 3rd overall in 52.92 and the 4 x 200 relay easily outdistanced the field with a finishing time of 1:51.98 to capture the district championship in the 4×200. 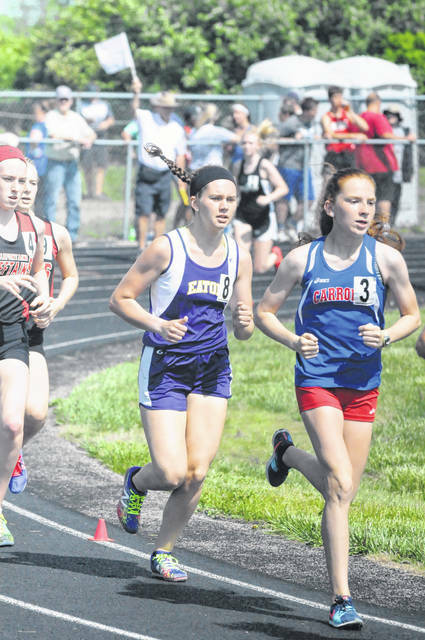 “All four girls ran strong races in both relays making both races very exciting to watch,” McKinney said. 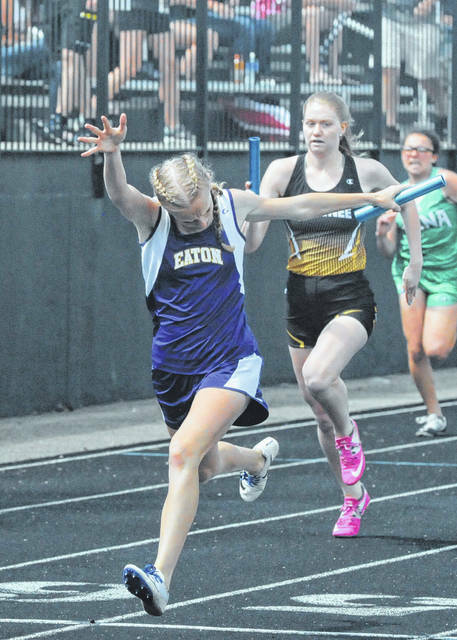 The girls 4×100 relay, 4×200 relay and Chase Smith will compete Thursday at Piqua with the field events starting at 5 p.m pm and running events starting at 6:30 pm. 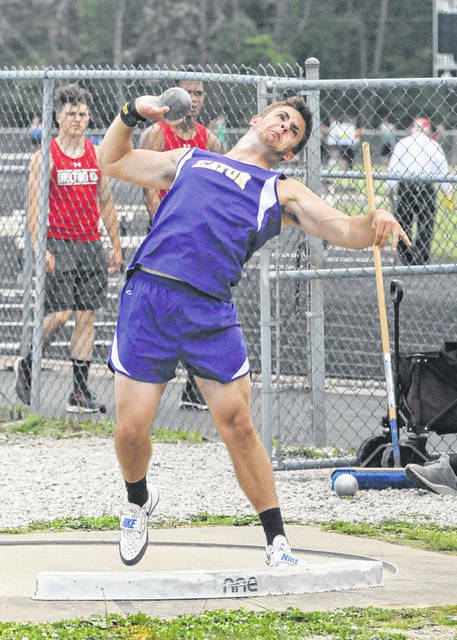 Tyler Pittman and Alex Newport will compete on Saturday at Piqua with the field events starting at 11 a.m. and the running starting at 12:30 p.m.
For Preble Shawnee, senior Chase Thomson placed second in the long jump with a leap of 21-6.25 to advance to the regional. 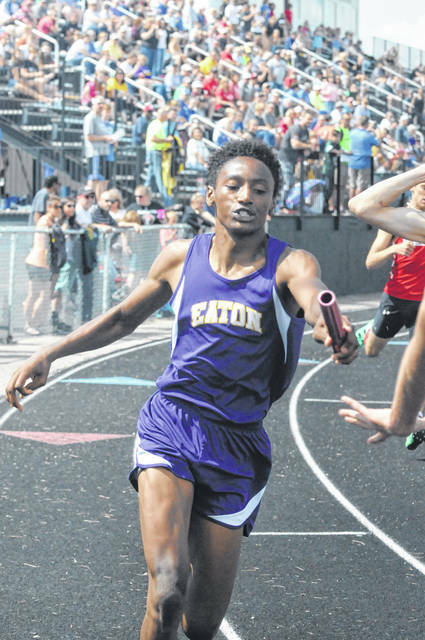 He also placed sixth in the high jump clearing 5-8. 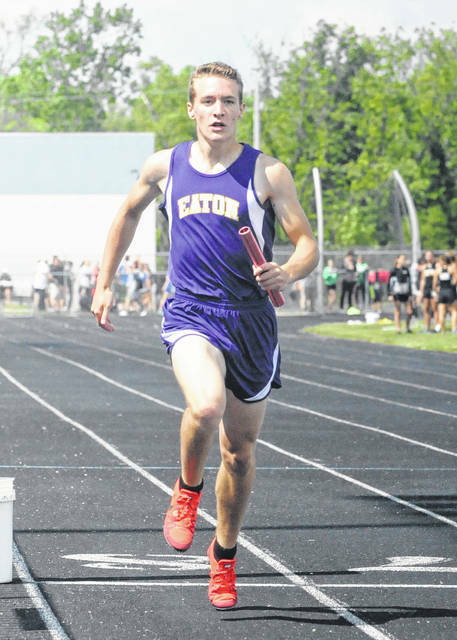 Dakota Keeler was seventh in the pole vault clearing 10-6. 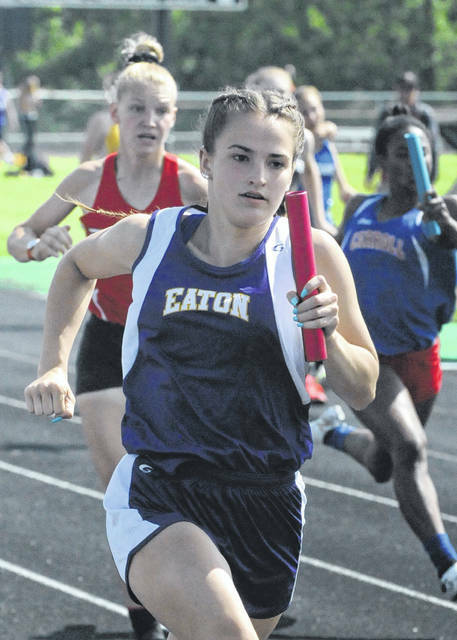 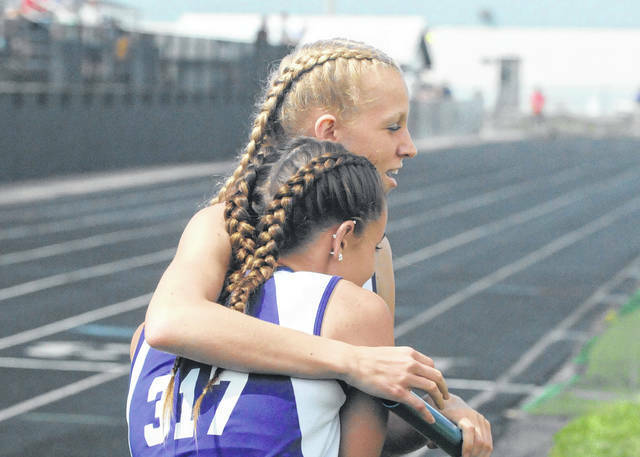 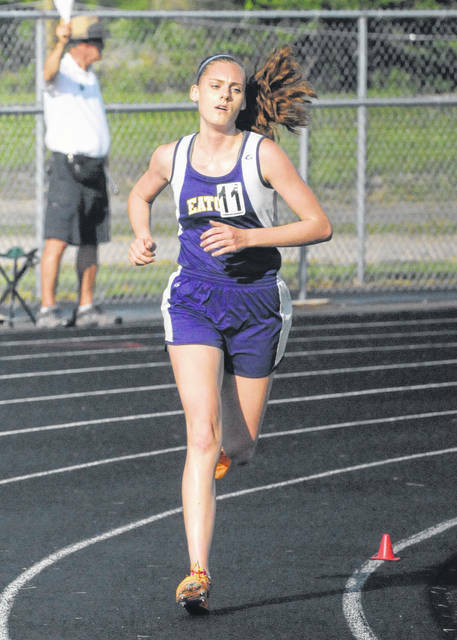 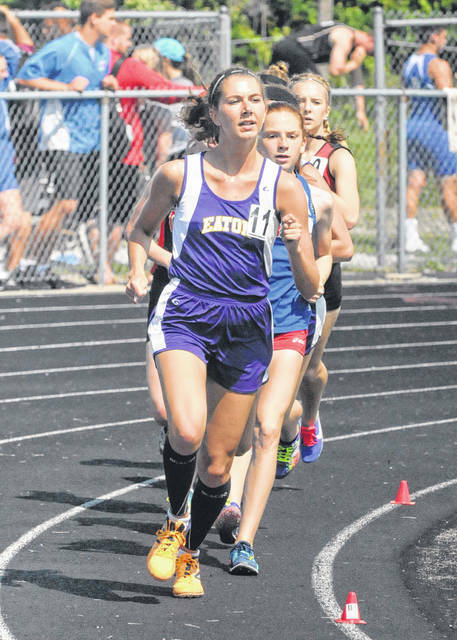 Eaton’s Makenzi Cooper crosses the finish line to help the Eagles win the 4×200-meter relay at the Graham Division II District meet on Saturday, May 19.
https://www.registerherald.com/wp-content/uploads/sites/41/2018/05/web1_ehsgtk.jpgEaton’s Makenzi Cooper crosses the finish line to help the Eagles win the 4×200-meter relay at the Graham Division II District meet on Saturday, May 19.